With three weeks under my belt, I’m beginning to feel like a little bit of a pro at this vegan thing. I’m really enjoying cooking and spending time searching for tasty recipes – and not just for pudding either, I’ve been hunting down and cooking actual, nourishing meals, which is impressive for me. The only time I’ve not been able to eat vegan during week three was, yet again, when I went out. I almost managed an entirely vegan meal at one of my favourite diners – I asked for nothing on the veggie burger but guacamole, but they put melted cheese on too…Maybe I should have sent it back, but I honestly couldn’t be bothered for the sake of a slice of cheese. Perhaps that makes me a ‘bad vegan’, but the place was rammed, it was probably an honest mistake, and I was hungry. The second time, I went out to a little dessert restaurant in the city my university is in and there was nothing vegan on that menu that I could see. To be honest, I was disappointed because they have a huge range – pretty much any dessert you can think of – so I was a little gutted to see that there wasn’t a dairy free section. Especially when it’s easy to make dairy free desserts. On top of that, my best friend’s Mum had a party and there was nothing vegan and to be honest, I don’t expect friends to go out of their way to do things especially for me. Though, saying that, if I had an allergy would I expect something allergen-free? Food for thought. Eating out aside, everything I ate during week three was vegan. I’ve discovered that Aldi’s Oaties are vegan, which is good on one hand, not so good for my goal of eating less biscuits. Another surprising vegan discovery is Kellog’s Star Wars cereal. Chickpea, quinoa and tumeric curry – Deliciously Ella | This was really tasty and serves 6, so we had some leftovers for later in the week. 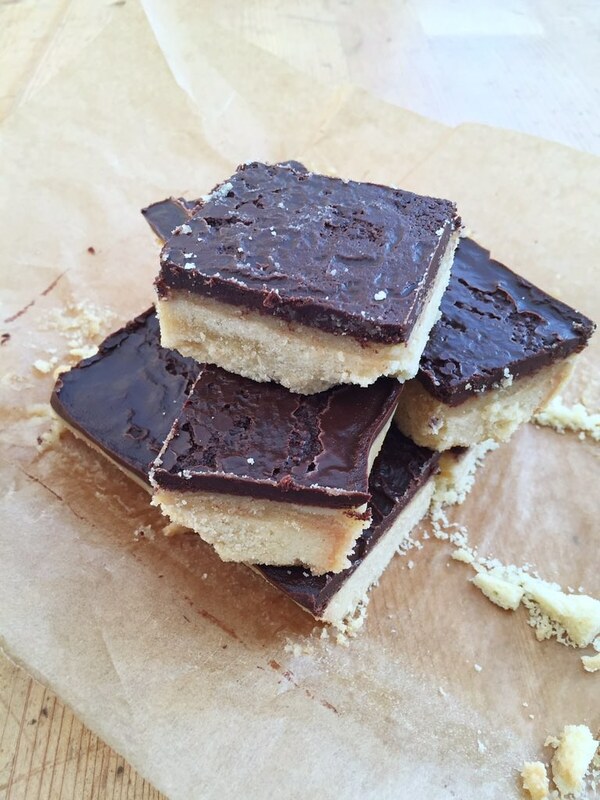 Millionaire shortbread | I used a couple of different recipes for this. The base was a vegan version of Tyrion shortbread from Game of Scones (honestly, get that book for the amazing biscuit recipes) and the caramel and chocolate layers were from A Saucy Kitchen. I can’t believe how fast these 30 days are going, this time next week the challenge will be over with. To be honest, I have no intention of going back to my previous diet – I’ve found a vegan diet much easier than I expected and I feel much better in myself (though a part of that is because I am eating healthier). What tasty things have you eaten this week?